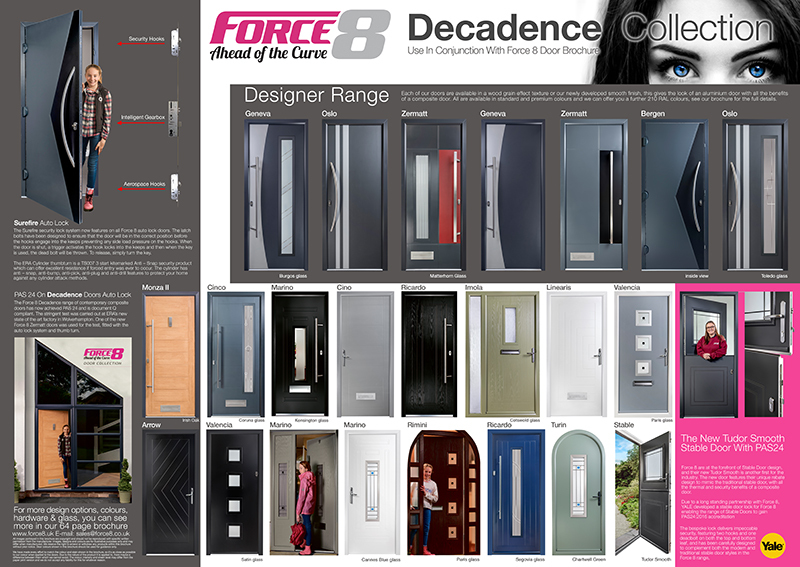 Our new wall chart has all our latest and most popular doors that are not featured in our brochure. You can view and compare all the various styles all together, which makes an excellent sales tool. 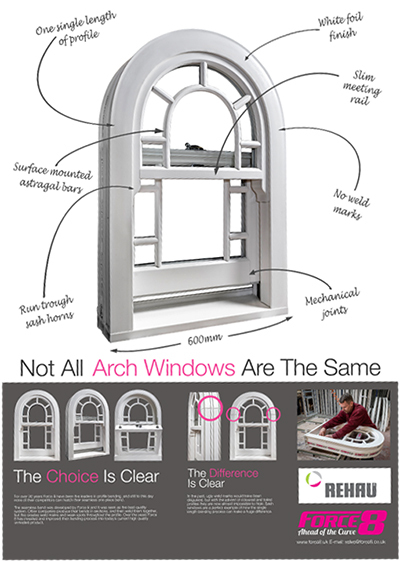 Included on the chart is the designer two-tone range, as well as the new Tudor Smooth stable door. To make sure you receive your copy fill out the form below. We never miss a trick at FORCE8 and our wall chart is no exception. Why leave the back of the chart blank, when you can make use of it, so we have added our New Sash window to the reverse side. The size of the chart enables you to see the delicate wood grain achieved by the white foil finish, which is where our unique one-length bending process makes all the difference. Other companies fabricate the the arch in sections, bending just the arched section and then welding the tail end on. In the past they have disguised these ugly marks by cleaning up the joints in the normal method, but this cannot be achieved with foil finished profiles, leaving ugly weld marks on what is after all a high-end quality product. If there were weld marks across your new car, you would not accept it, so why put up with them on your sash windows.